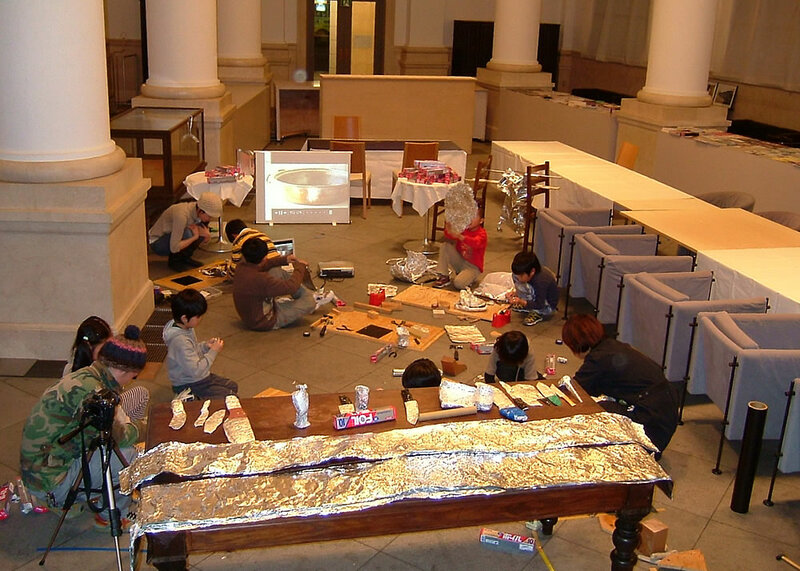 Contemporary art with FOILS (organised by Hukazawa Art Laboratory) at Asahiku civic center Sun Heart in Yokohama and etc. 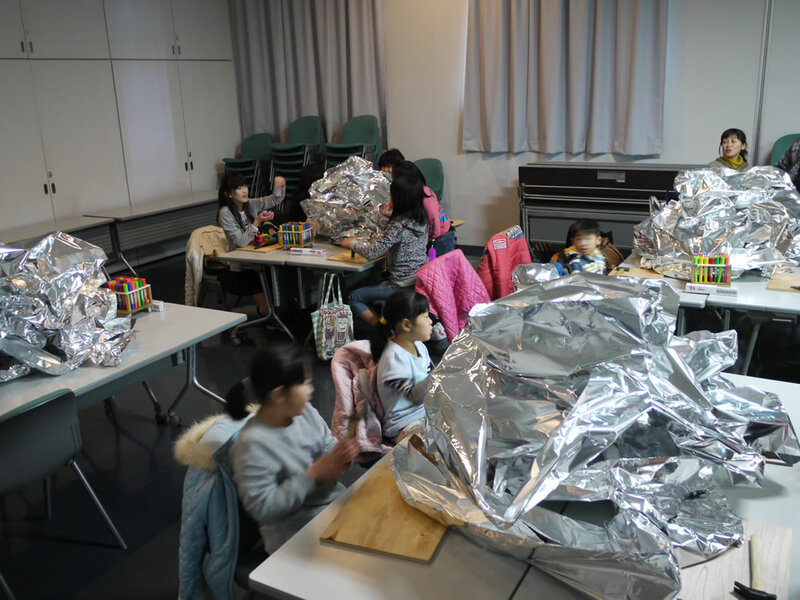 Hukazawa Art Laboratory represented the exhibition of foils, because we found the possibilities of this material were really interesting. Striking mass of foils looks returning to the origin. 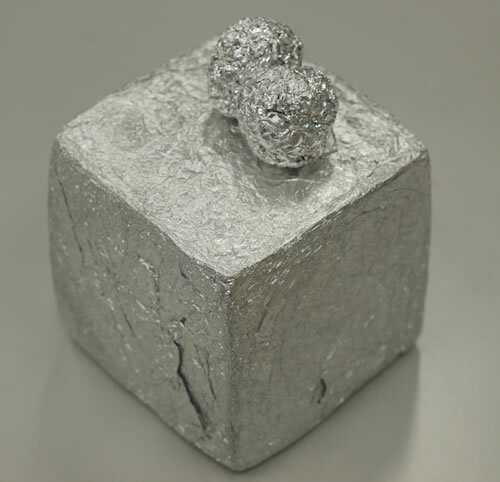 A very familiar material ,though, this is a kind of metal. On the other hand, this is very handy to make shapes as clay. There are glittering side and matte side, so on. These factors make us really attracted. 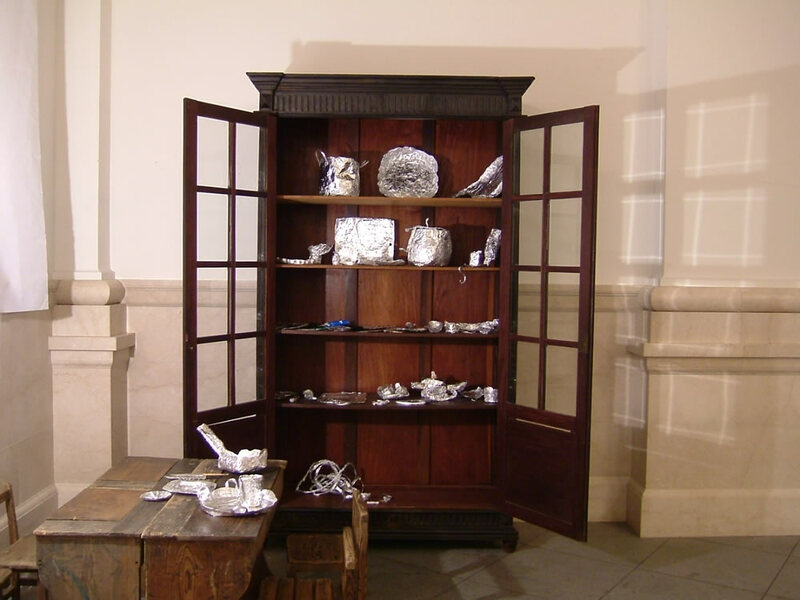 The idea to make artificial silver wares came to me, because of the atmosphere of the historical space in ex-BankART 1929's building( now,YYC ). Children hit mass of foils by hammers to make shape and make harder into artificial tablewares. After the workshop, we displayed their works in the exhibition "Shoku-to-Gendai-Bijutsu (Foods & Contemporary Arts) Part4" at BankART1929. We could actually use the works as tableware. 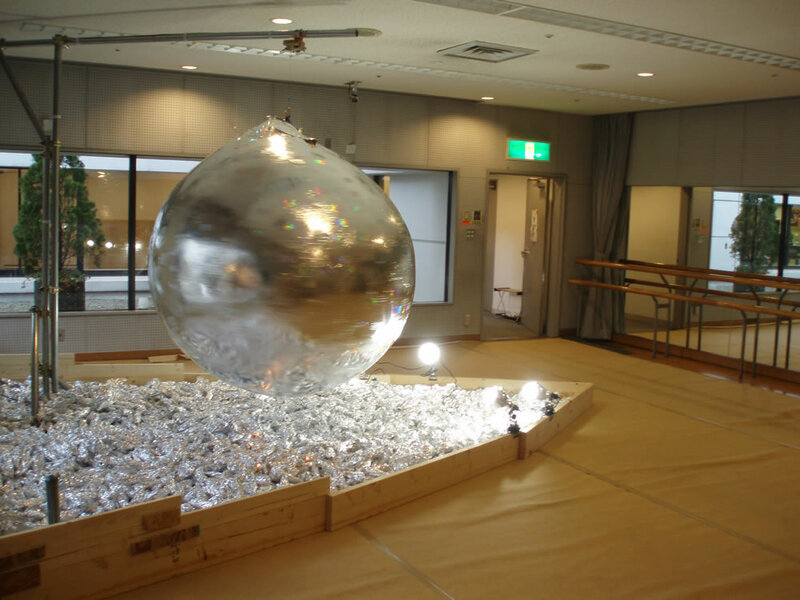 we tried to make a kind of huge mirror ball. It was rotating for real.